Does paying insurance premium count towards $600 minimum spending? Sorry just checking. The 10% on travel. . . .
Is it only on ticket and hotel stay? What if I spend on food and dinning in overseas currency. Is the 10% valid? Food and Dining overseas not counted under Travel category for this card. Unless the restaurant is in a hotel and the hotel’s MCC is used for the transaction. Will count towards the Dining category for the CIMB Visa Signature though. I always tot foreign currency spending would count under travel. . Noted. Can try luck on dining (Visa). Not always true if the MCC codes are not tagged correctly. I wasted a lot of rebates when the MCC of restaurants in Japan were tagged as Miscellaneous and supermarket was tagged as Department Store. Artician said that some Watsons stores are classified as Misc stores and not eligible for 10% rebate. While some are classified correctly. I deduce that, for those stores with pharmacy (with Rx), they will be eligible. For those stores without pharmacy (no Rx), they are classified as misc stores. 1) Use your signal indicator! 3) On your headlights when it's dark! Insurance premium payment has 0.2% rebate or not? Count towards minimum? No 0.2% as stated clearly in the tncs, but should count towards min. spending as it is not excluded under tncs. I didn't get it for Watson's overseas Malaysia. Where do.you see this RX? Folks, how is the latest status for Grab manual top-up now? 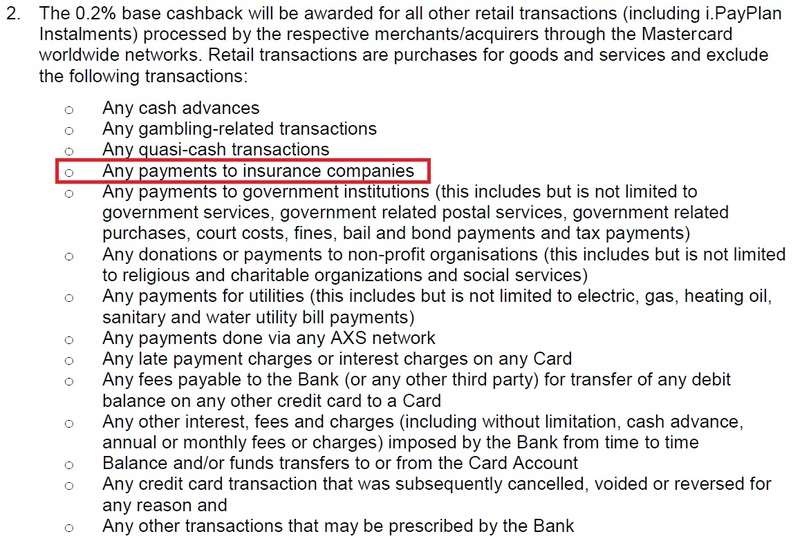 Are you guys still receive the deserved Cash Rebate of 10%?? Trust that Manual Grab Topup using CIMB-VISA is still valid for online 10% Cash Rebate.